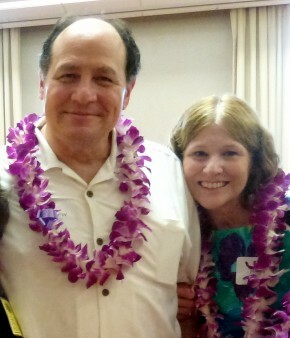 University of Hawai‘i at Hilo’s Ka Haka ‘Ula O Ke‘elikolani College of Hawaiian Language changed leadership in January. Keiki K.C. Kawai‘ae‘a is the college’s new director, as former director Kalena Silva returns to an instructional role. Kawai‘ae‘a has big shoes to fill. Under Silva’s guidance, the college developed a world renowned indigenous language immersion program of education from pre-school through a doctoral program. Kawai‘ae‘a is ready to lead the college into the future with a new building currently under construction. Rendering of Haleʻōlelo, the new College of Hawaiian Language building now under construction. “We are elated about the upcoming completion of our new building Haleʻōlelo and the many opportunities ahead to expand and improve our programs and outreach in Hawaiian language and culture, linguistics, immersion and mauli ola education P-20,” she says. Kawai‘ae‘a has been with the college for some 20 years. Among her many accomplishments at UH Hilo, she is the founding director of the Kahuawaiola Indigenous Teacher Education Program and is a past director of the Hale Kuamo‘o-Hawaiian Language and Culture Center. She has been principal investigator on numerous grants to the college and has a distinguished record of research and artistic endeavors. Earlier this year, she completed her doctorate at Union Institute and University, Cincinnati, Ohio, with a specialization in indigenous education. This is a time to celebrate new beginnings – the start of the spring semester and to welcome two new individuals into our University of Hawai‘i at Hilo ‘ohana. Dr. Matt Platz joined us on January 2nd as our new vice chancellor for academic affairs. Matt previously served as the Distinguished University Professor of Chemistry at Ohio State University and the director of the Division of Chemistry at the National Science Foundation. Joining us today as the new director of university relations is Jerry Chang, a former Hawai‘i state representative and a UH Hilo alumni. Jerry succeeds Gerald De Mello, who retired on December 31, 2012. I am very happy and excited to have Matt and Jerry join UH Hilo as they will be tremendous assets to our campus and community. I know all of you join me in thanking Dr. Kenith Simmons and Gerald De Mello for their dedication and service to UH Hilo. Welcome back and have a great semester. I am pleased to announce a staffing update to UH Hilo’s development team. 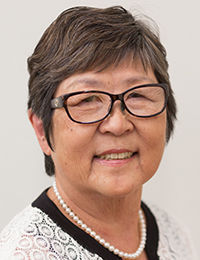 On January 16, 2013, Margaret Shiba will become the Director of Institutional Advancement at ‘Imiloa Astronomy Center, where she will work closely with Executive Director Ka‘iu Kimura on enhancing the funding base for this dynamic education and outreach center. ‘Imiloa has grown in significance and outreach since its opening in 2006, and Margaret will assist its leadership in addressing the challenges and opportunities of its next phase of development. 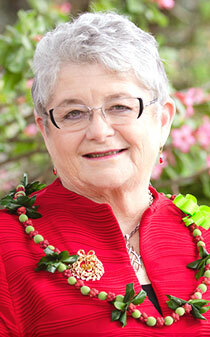 Margaret has been with the UH Foundation for the past eight years, serving as the Chief Development Officer for UH Hilo. Those duties will be temporarily assumed by Andrea Furuli while a search is conducted to fill this position. Thank you, Margaret, for your continuous hard work and efforts, and especially for your dedication to providing our donors with a quality experience! 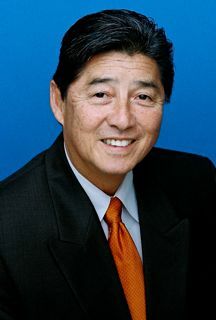 University of Hawaiʻi President M.R.C. Greenwood released a letter to the UH ʻohana today noting the many accomplishments of the university community over the past year. We are also proud of the work going on at Hilo in addressing the future economic and educational needs of the Big Island community and beyond. UH Hilo is a partner with key community and government stakeholders supporting a new undergraduate certificate in agriculture, “Veterans to Farmer.” UH Hilo and Hawaiʻi Community College are developing island-wide and statewide pathways to facilitate seamless transfer into UH Hilo in agriculture, Hawaiian studies, marine science, nursing, and psychology. And the College of Pharmacy has begun a grant-funded program called Pharm2Pharm designed to reduce medication-related hospitalizations and emergency room visits by establishing teamwork between hospital and community pharmacists on the islands of Hawaiʻi, Maui and Kauaʻi. Read the whole letter on the UH System News site. The University of Hawai‘i at Hilo College of Agriculture, Forestry & Natural Resource Management and Chancellor Don Straney will sponsor a free public lecture on the economic impact of rising energy costs by Syracuse University Professor Charles A.S. Hall. The address, “Peak Oil, EROI and Your Financial Future in Hawai‘i,” is scheduled for Friday, Jan. 4, 2013, at 6:30 p.m. in University Classroom Building room 100. Hall, the author of Energy and the Wealth of Nations: Understanding the Biophysical Economy, will explain how high energy prices reduce discretionary incomes by using the concept of Energy Return on Investment (EROI). The lecture is free and open to the public. For more information, contact Alyson Kakugawa-Leong.